lt;stronggt;TOP25230lt;/stronggt;lt;BR/gt;Tops Royale Business Casebound Notebooklt;BR/gt;Handsome, durable hard cover with gray spine and metallic accents ensures permanent record keeping. Provides permanent, no-clutter, protective storage of records. Ribbon marker, Contents Index Page and Useful Numbers for easy reference. Labeling Box on each page for project organizationby date, page number or project name. 20-lb. white paper. Pad Type: Notebook Sheet Size: 8 1/4amp;quot; x 5 7/8amp;quot; Ruling: Legal.lt;BR/gt;lt;BR/gt;lt;stronggt;UNV14115lt;/stronggt;lt;BR/gt;Tops Royale Business Casebound Notebooklt;BR/gt;Get your files in order with these classics. Lighter color interior helps prevent misfiling papers between folders. 11 pt. stock. Includes index tabs and inserts. Acid-free. 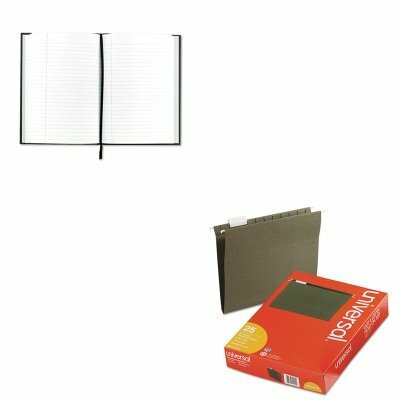 Hanging File Folder Type: Standard Size: Letter. View More In TV Accessories & Parts.